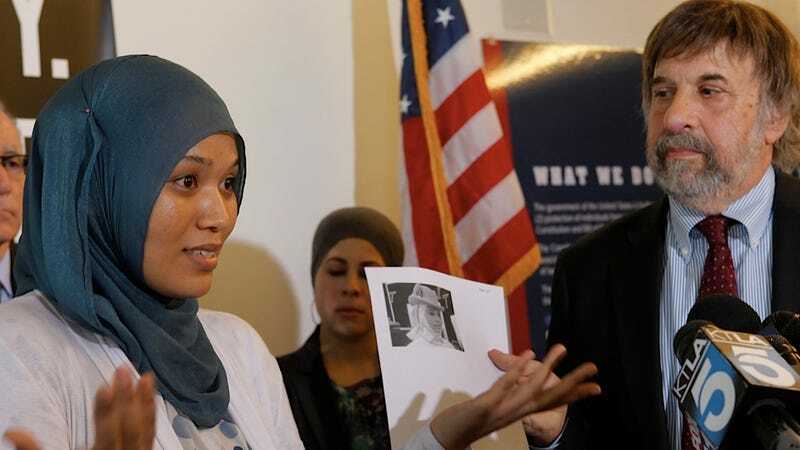 Some of you may remember former Disneyland employee Imane Boudlal, who filed a discrimination complaint two years ago against the magical amusement park for saying she couldn't wear a hijab during Ramadan because the hijab, you understand, isn't part of Disney's "look." Actually, according to a Disney spokeswoman, Boudlal was presented with a few different options for obscuring the hijab, including wearing a hat over it or working somewhere park visitors couldn't see her, like in the labyrinth where Disney keeps its Minotaur. Boudlal refused to back down, stopped going to work, and has just now, according to the LA Times, filed a federal lawsuit against Walt Disney Corp. alleging she was discriminated against and harassed for her religious beliefs. Boudlal hasn't worked for Disney since Aug. 21, 2010, according to her attorneys from the ACLU. Earlier that month, Boudlal filed a complaint with the U.S. Equal Employment Opportunity Commission and received "notice of right-to-sue"on Aug. 8, allowing her to press forward with litigation. Though Disney maintains that Boudlal was offered "options" for essentially covering up her hijab (Donald Duck hats must surely have been discussed), Boudlal insists that, in addition to being prevented from wearing her hijab, she was repeatedly harassed by co-workers, who allegedly called her things like "terrorist" and "camel." The lawsuit seeks damages for Boudlal, but also workplace discrimination training for all Disney employees, as well as a court order to allow Muslim employees to wear the hijab in public roles, sans any of the stupid-eared hats that comprise Disney's corporate "look."